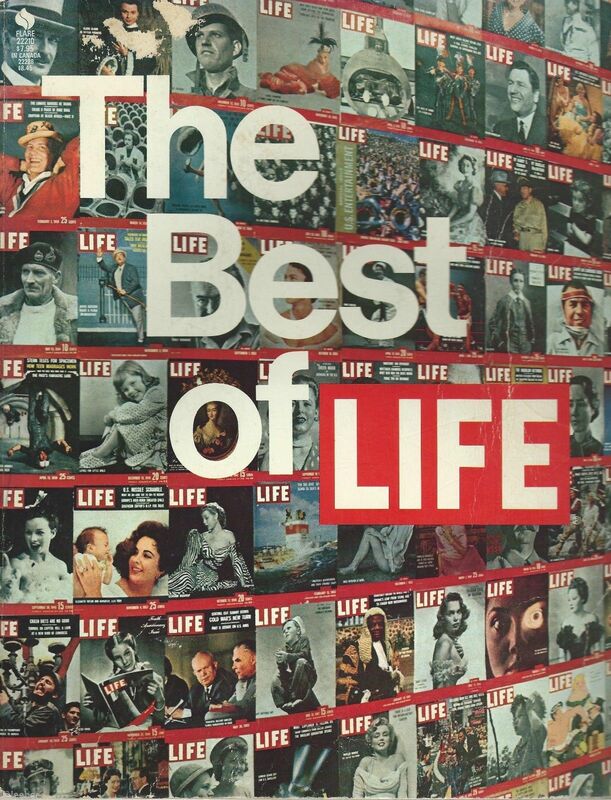 The Best of Life 1975 David Scherman Large Paperback Time Life The Best of Life; Photographic History-1936-1972;David Scherman;Time Life 1975 PB. A 304 Page Book Of The Best Of Life Magazine Within The Covers Of This Book Is The Work Of Great Photographers, Capturing The Timeless Images Of Momentous Events. Life magazine set. One book and one magazine! The book is "The Best of Life" large stiff wraps covers edition. It is profusely illustrated with beautiful award winning photos taken over the years from 1936 during the Great Depression to 1972. This is a Time Life publication 1975 First Flare Printing, March 1975. Condition: Fair condition overall; page edges are yellowed; top front and bottom back cover has some scuffing. I didn't see any damage on the inside pages of this book but pages are wavy and crinkled due to previous moisture exposure but no pages are stuck together or waterstained. Reading copy only. Author/Editor: David Edward Scherman. Printed in the U.S.A.